Eastern Unity ("us", "we", or "our") operates the https://www.easy.auction website (the "Service"). Service is the https://www.easy.auction website operated by Eastern Unity. While using our Service, we may ask you to provide us with certain personally identifiable information that can be used to contact or identify you ("Personal Data"). Personally identifiable information may include, but is not limited to: Email address First name and last name Phone number Address, State, Province, ZIP/Postal code, City Cookies and Usage Data. Eastern Unity will also retain Usage Data for internal analysis purposes. Usage Data is generally retained for a shorter period of time, except when this data is used to strengthen the security or to improve the functionality of our Service, or we are legally obligated to retain this data for longer time periods. Under certain circumstances, Eastern Unity may be required to disclose your Personal Data if required to do so by law or in response to valid requests by public authorities (e.g. a court or a government agency). To comply with a legal obligation To protect and defend the rights or property of Eastern Unity To prevent or investigate possible wrongdoing in connection with the Service To protect the personal safety of users of the Service or the public To protect against legal liability. If you are a resident of the European Economic Area (EEA), you have certain data protection rights. Eastern Unity aims to take reasonable steps to allow you to correct, amend, delete, or limit the use of your Personal Data. The right to withdraw consent. You also have the right to withdraw your consent at any time where Eastern Unity relied on your consent to process your personal information. 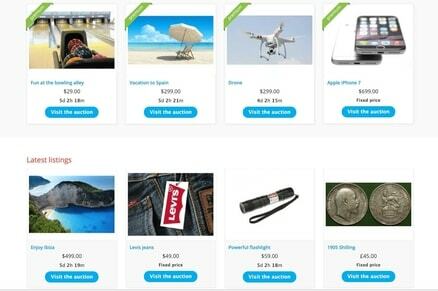 By visiting this page on our website: https://www.easy.auction/submitticket.php?step=2&deptid=1. Wij zijn wereldwijd de leidende partij op het gebied van veilingsites. Wij hebben meer dan 15 jaar ervaring op het gebied van veilingen en helpen u online in slechts enkele minuten.